The worldwide production of all important wood products is currently experiencing its biggest growth since the global economic downturn in 2008. The internationalization of production processes and the modernization of the industry to utilise advanced information technologies are of great importance to the timber industry. The requirements for employee profiles in the industrial and service sectors will therefore change dramatically. Strong IT skills, as well as independent problem-solving skills, systemic thinking and intercultural competence are becoming significantly more in demand than ever before. 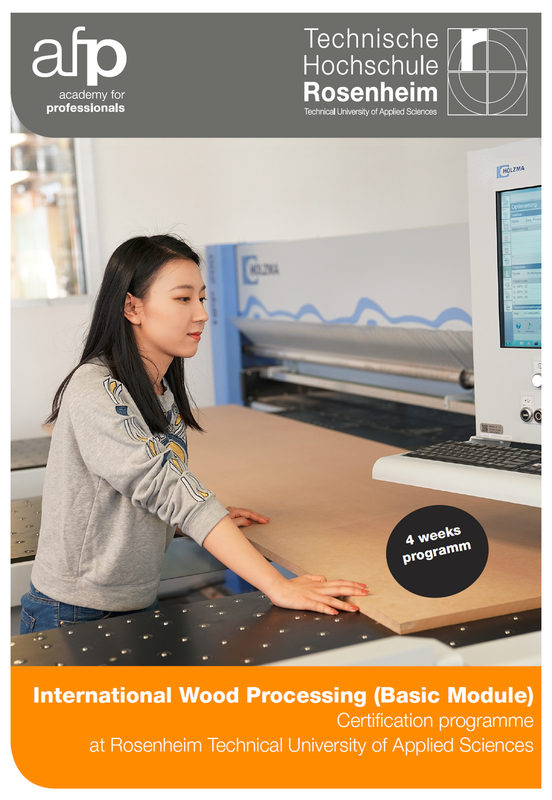 Against this background, Rosenheim University of Applied Sciences, in close co-operation with key companies in the timber industry, has developed the customised “International Wood Processing” certification programme. This programme provides both a deep knowledge of industrial woodworking and wood processing, as well as an insight into European culture. This programme is aimed at employees of international companies as well as of European companies in the wood processing industry. Order our current information material by mail or post.